Nearly 112 miles of area rivers are eligible for Wild and Scenic River System designation, based on their outstanding, unique values. Their eligibility does not mean area waterways necessarily would be so designated, but, under their ongoing forest plan revision, the Grand Mesa, Uncompahgre and Gunnison National Forests are required to consider rivers and streams, with public input. The GMUG began the forest plan revision in June 2017. Now in its second phase, the plan is an overarching document to move the forests to resiliency over the next 15 years. Prior to any recommendation being made to Congress for additions to the National Wild and Scenic River System, rivers must also be found to be “suitable.” These suitability studies are not required on the Forest Service’s planning rule and the GMUG would initiate such evaluations only upon demonstration of strong local interest or support; Congress’ express interest, or if a proposed project would alter the free-flowing nature of a stream or river, or would affect other resources that made the stream or river eligible. The GMUG as part of the forest plan revision conducted a draft eligibility study to determine free-flowing conditions and to evaluate outstandingly remarkable values, or ORVs, of local rivers. ORVs are unique, rare or exemplary features significant within comparable regions — such as scenery, recreation, geology, cultural, recreational or vegetation. Only one such value need be found for eligibility. The GMUG previously conducted an eligibility study in the early 2000s, which found 76 miles in 18 segments of rivers or streams could be eligible. The new evaluation was conducted to consider changed circumstances, such as species information and classification, Duffy said. For example, a threatened trout species has been found on the GMUG, as have additional populations of boreal toad. “While the GMUG is producing the draft eligibility part, we are investigating the options. … We want to make sure we can get to the in-depth discussions with all the stakeholders that are necessary. We want to make sure we’re giving it as much attention as we can,” Duffy said. Under the new eligibility evaluation, slightly more than 40 miles of waters in the Gunnison Ranger District were listed — portions of Oh Be Joyful Creek, West Elk Creek, West Soap Creek and Copper Creek, and their tributaries. 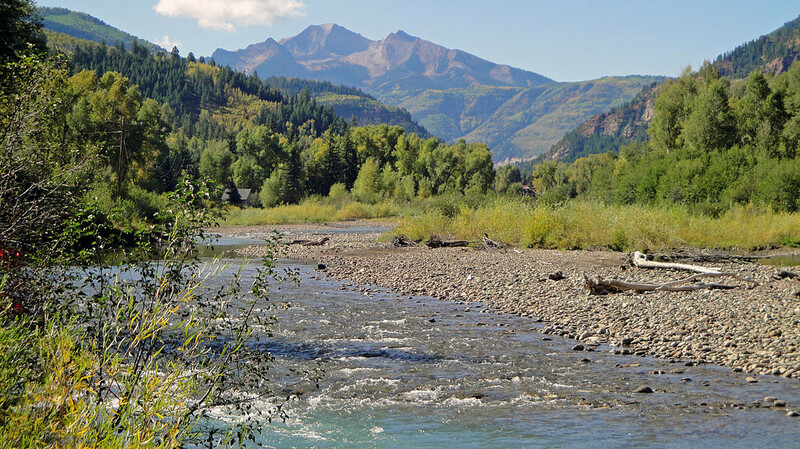 In the Ouray Ranger District, eligible waterways for inclusion in the Wild and Scenic Rivers System are parts of Cow Creek, Roubideau Creek and their tributaries, a total of 33.45 miles. In the Norwood Ranger District, about 8.5 miles of Tabeguache Creek and North Fork are listed, along with less than a mile of the San Miguel River. The Grand Valley Ranger District rounds out the list, with more than 29 miles of the North Fork, Escalante and Kelso creeks. Public comment is being accepted until March 22. The full eligibility report can be found at http://fs.usda.gov/goto/gmug/forestplan. “There is a religious experience in coming over top of a huge rapid and burying your bowman’s face down until you maybe can’t see him,” Claude Terry describes of our 39th president, Jimmy Carter—then Georgia Governor—completing the first tandem descent of the wild Chattooga River in 1974. President Carter grew up near rivers under the guidance of his father, an avid fisherman, which built the foundation of his admiration and respect for wild waters. Under the tutelage of Claude Terry, the co-founder of American Rivers, he learned all he could about kayaking and canoeing, and the pair became the first to run the Class IV+ rated Bull Sluice rapid in an open canoe. The experience through the beautiful, rugged, and wild rapids on the Georgia-South Carolina border led him to advocate for the listing of the Chattooga River through the Wild & Scenic Rivers Act. The Wild & Scenic Rivers Act, signed into law in 1968 by President Lyndon B. Johnson, is one of the earliest pieces of environmental regulations surrounding water. The Act’s aim is to protect the natural and healthy flow of certain rivers that exhibit “outstandingly remarkable” scenic, cultural, historical, recreational, geologic, and other similar values worthy of preservation for future generations. Essentially, it ensures the river will remain in its current free-flowing form and defends against future damming or development that would harm the river and its surrounding ecosystem. Typically, a quarter-mile buffer surrounds designated Wild & Scenic Rivers. Included with the designation of each river is a management plan specific to that stream to ensure the conservation of the “Outstanding Remarkable Values” (ORVs) for which the wild river was identified. The management plan is developed through a process that promotes participation across political boundaries and from the public. Existing water rights, private property rights, and interstate compacts are not affected by a listing or designation. While there are about 3.6 million miles of rivers and streams in the U.S., only about 12,709 miles are protected under the Wild & Scenic Rivers Act—about 0.35%. And while there is only one river in Colorado, the Cache la Poudre, currently protected by the Wild & Scenic Rivers Act, Deep Creek in our own Eagle County was found “suitable” for Wild & Scenic designation in 2014. American Rivers and Eagle River Watershed Council are currently working with the Bureau of Land Management (BLM) and the U.S. Forest Service (USFS) to designate this pristine river as such. Flowing from the Flat Tops and Deep Lake to its confluence with the Colorado River just before Dotsero, the river passes through a deep and narrow canyon of limestone rock that hosts one of the biggest and most complex cave systems in Colorado. Deep Creek is also home to rare species from riparian plants to bats, all of which will fall under the umbrella of protection with a Wild & Scenic designation. Sheep and cattle ranchers graze their livestock in the area as well. The Watershed Council and American Rivers have been working with these ranchers to ensure that their grazing rights are protected as they have used this land without impacts on the wild and scenic values of the creek for generations. President Carter continued his legacy of environmentalism throughout his presidency, blocking numerous dam projects throughout the U.S. that would have negatively and permanently altered rivers and their ecosystems. A film by American Rivers, entitled “The Wild President” explores the groundbreaking first descent, and will be one of 10 inspiring and adventurous films shown at the Wild & Scenic Film Festival on April 12th at the Riverwalk Theatre in Edwards. The film festival was created by Patagonia and is hosted locally by Eagle River Watershed Council in an effort to increase community awareness of our relationship with the planet, particularly our waterways, and to inspire action. For more information and to buy tickets, visit http://www.erwc.org/events/calendar. Lizzie Schoder is the Education and Outreach Coordinator for Eagle River Watershed Council. The Watershed Council has a mission to advocate for the health and conservation of the Upper Colorado and Eagle River basins through research, education, and projects. Contact the Watershed Council at (970) 827-5406 or visit http://www.erwc.org. A Colorado Water Conservation Board proposal, sent to state lawmakers last week, recommends the stream-saving action to meet state environmental and economic goals. It remains unclear who would enforce the community watershed plans. But there’s little doubt streams statewide are strained by thirsts of a growing population expected to double by 2060, according to state officials. And a Denver Post look at the latest water quality data found that 12,975 miles of streams across Colorado (14 percent of all stream miles) are classified as “impaired” with pollutants exceeding limits set by state regulators. Creating local watershed plans to save streams is essential, said James Eklund, the CWCB director and architect of the year-old Colorado Water Plan. Eklund pointed to low-snow winters and drought in California’s Sierra Nevada, where 2015 snowpack at 5 percent of average forced a declaration of a state of emergency requiring 25 cuts in urban water use. No single agency oversees waterway health. State natural resources officials monitor flow levels in streams and rivers. They run a program aimed at ensuring sufficient “in-stream flow” so that, even during drought, streams don’t die. Meanwhile, the Colorado Department of Public Health and Environment sets standards on maximum levels of pollutants that people and companies are allowed to discharge into waterways. In 2015, only 51.6 percent total stream and river miles in Colorado met quality standards, and 30.1 percent of lake surface acres met standards, according to a CDPHE planning document. “If stream flows are low, there is less dilution in the stream to handle the addition of pollutants through permitted discharges,” CDPHE water quality director Pat Pfaltzgraff said in responses sent by agency spokesman Mark Salley. Yet CDPHE officials do not make recommendations to natural resources officials about water flows necessary to improve stream health. CWCB chairman Russ George supported the push to create local watershed plans, to include detailed maps covering every stream. “Every stream and tributary needs to be inventoried. … It should have been done a long time ago,” George said in an interview last week. “We have kind of hit the population and demand place where we have to do it. We didn’t have to do it for the first part of history because the population was small and there wasn’t the impact of all the issues we are getting into now,” he said. The CWCB voted unanimously last month to ask lawmakers to approve $5 million a year for up to five years to launch local stream planning. 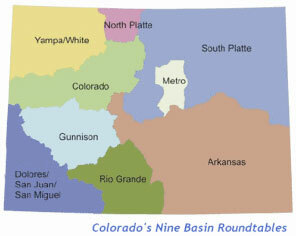 The plans are to be developed within the eight river basin “roundtable” forums that Colorado has relied on for addressing water challenges. These groups draw in residents with interests in stream health who helped hash out the Colorado Water Plan, which was finalized last year and calls for statewide cuts in per person water use by about 1 percent a year. While state natural resources officials run the program aimed at keeping at least some water in heavily tapped streams, survival in a competitive environment is complex. Leaving water in streams for environmental purposes often depends on timing, when the mountain snowpack that serves as a time-release water tower for the West melts, the amount of snowpack, and needs of cities, pastures and farms. Collaborative local forums to find flexibility to revive streams “is a great approach.” However, state officials eventually may have to play a central role converting plans into action, Miller said. The roundtable forums in communities draw in diverse stakeholders from cattlemen to anglers. Irrigators and other water users west of Aspen already have created a “stream management plan,” for the Crystal River, seen as a model local effort. Their planning included an assessment of watershed health that found significant degradation above the confluence with the Roaring Fork River. They set a goal of reducing the estimated 433 cubic feet per second of water diverted from the river by adding 10 to 25 cfs during dry times. They’re developing “nondiversion agreements” that would pay irrigators to reduce water use when possible without hurting agriculture, combined with improving ditches and installation of sprinkler systems designed to apply water to crops more efficiently. Colorado has no history of relying on a central agency to enforce water and land use, CWCB chairman George pointed out. “When you have a system designed to have everybody at the table, what you’re doing is recognizing there is a finite resource that is shared by everybody. And impacts are shared by everybody statewide. In order to keep from having some force dominate in ways that would not account for all statewide impacts, you need to diffuse the conversation into all areas. That is what roundtables do,” he said. After 20 years in limbo, a stretch of canyon southeast of the Flat Tops Wilderness is getting a fresh chance for federal protection. To be eligible for Wild and Scenic designation, the river in question must be free-flowing and have “outstanding remarkable values,” including particular ecological, scenic, recreational or geological characteristics. Soon after the federal agencies found Deep Creek was eligible, an effort was begun to push for Wild and Scenic designation, said [Ken] Neubecker. But other advocates wanted to shoot for wilderness designation, which was a complete nonstarter, running into a water rights battle with the Colorado River District, he said. Last year White River National Forest released its finding that the area is suitable for Wild and Scenic designation, which is the last formal step before Congress could make the designation. Next, legislation would have to be drafted with the community’s involvement, Neubecker said. 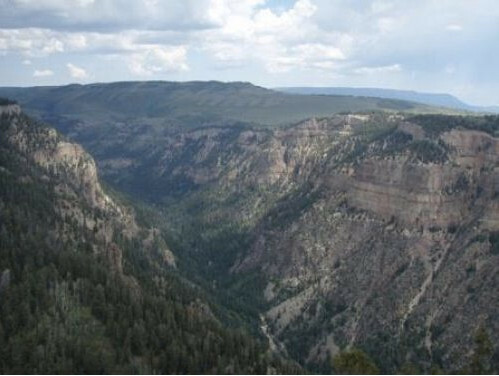 But while the BLM and Forest Service have found the land suitable for Wild and Scenic status, the agencies are prohibited from lobbying for the designation, Neubecker said. The BLM, Forest Service and American Rivers have held public meetings about the effort in Edwards, Gypsum and Glenwood Springs. A handful of ranchers with grazing rights in Deep Creek have come to the public meetings, though none in Glenwood Springs, to fend off any changes to their grazing rights. Others worry that giving Deep Creek the designation would attract more tourists, but it isn’t the same at creating a national park or national monument, Neubecker said. Wild and Scenic areas aren’t created to be tourist spots, and they’re not marketed on road maps, he said. The designation is also a way to provide permanent protection of the land and river under federal law while keeping the water rights with the state, Neubecker said. Among the qualities that make the canyon suitable for Wild and Scenic designation is the largest complex of caves in the Western U.S., he said. Its scenic qualities are obvious, at depths of 2,000 to 3,000 feet, prominent cliffs, large outcroppings and ledges. It’s one of the last truly pristine canyon environments left in the West, he said. The community has the opportunity to be involved at a couple different levels, Neubecker said. First, the community can shape the language of the amendment granting the status. Unlike designating a new wilderness area, which takes a new act of Congress, a Wild and Scenic area is created through an amendment to the original act. Second, the area would have its own resource management plan, which would be regularly revised. U.S. Rep. Scott Tipton and Sens. Michael Bennet and Cory Gardner will have to get on board for the effort to be successful. “And I know Tipton won’t support it unless it has the community’s support,” said Neubecker. Supporters will have to work with the communities and governmental entities involved: Eagle County, Garfield County, Gypsum, Eagle, Glenwood Spring, Colorado River District, hunters, ranchers and recreationalists. The next step in this process is to form work groups including the community and federal agencies, said Neubecker. The timing for future meetings has not been determined. The newly formed Water Protection Work Group was created in response to a proposed National Conservation Area for the lower Dolores River. The WPWG seeks to protect municipal and agricultural water supplies in Montezuma and Dolores counties from any consequence arising from NCA legislation. Participants include Phyllis Snyder, Larry Don Suckla, Zane Odell, Doug Stowe, Greg Black, Don Schwindt, Drew Gordanier, Bernard Karwick, Bob Bragg, Keenan Ertel and Gerald Koppenhafer. The recently released their minimum requirements and recommendations to David Robbins, a Colorado water attorney who has reviewed the NCA proposal. 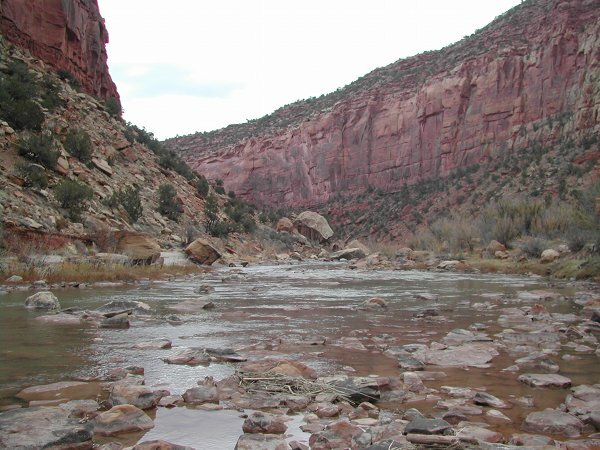 The group wants the preamble of the NCA to be more specific about the Dolores River’s importance as the region’s sole water supply. A proposed advisory committee in the draft NCA legislation requires more thorough definition. The draft NCA bill must be written to explicitly prohibit any federal express or implied water rights on the Dolores River. The draft NCA bill must release the Dolores River, upstream from the confluence with the San Miguel River, from consideration under the Wild and Scenic River’s Act. The recommendation also stipulates that no wild and scenic river portions below the San Miguel confluence can reach upstream water rights. The NCA shall not affect the Dolores Project or the operation of McPhee Reservoir in any way. The draft NCA bill has language prohibiting the building of large scale water projects. The WPWG recommends that large scale water projects be defined to exclude all existing projects, diversion, structures and water rights. Also, they recommend that the proposed NCA must not impact future projects under Colorado state water law that do not exceed 50,000 acre feet of annual use. The group also wants written into any NCA legislation that management plans will not impact or influence releases or spills from McPhee dam, the water upstream from McPhee Dam, or the Dolores Project. 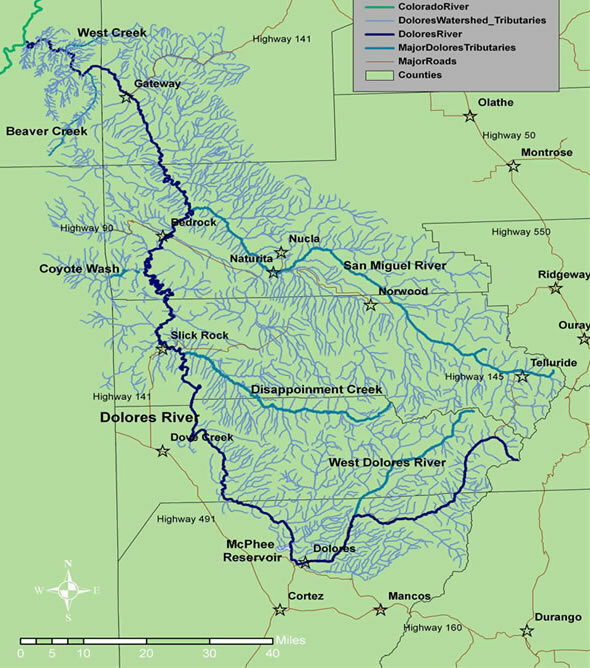 In April 2015, a legislative subcommittee of the Lower Dolores Plan Working Group released a draft bill that would designated a portion of the river an NCA and another portion a wilderness area. In exchange, the river’s suitability status for a wild and scenic river below McPhee dam would be dropped. The proposed Dolores River National Conservation Area would stretch from below the dam at Bradfield Bridge to Bedrock, Colo., and include the river and public land on both sides. The draft bill also proposes to designate the Dolores Canyon Wilderness Area, a 30,119-acre swath of remote canyonlands that has been managed as a BLM wilderness study area for decades. According to the draft, the Wilderness Area boundary would be located at the edge of the river, and no portion of the Dolores River will be included in it. However, the draft bill shows the Dolores river would be part of the NCA, including where it runs through the wilderness area. Colorado River District officials worry that possible Wild and Scenic designation for part of the Crystal River could sell western Colorado water interests short when it comes to the need for future storage projects, at least one River District board member advised Garfield County commissioners this week. “We continue to see the Crystal River as an important water supply for western Colorado,” Dave Merritt, Garfield County’s representative on the 15-member River District board, said during a meeting earlier this week to discuss the proposal. The push to give Wild and Scenic status to a 39-mile stretch of the Crystal south of Carbondale, from it headwaters in the Maroon Bells-Snowmass Wilderness to the Sweet-Jessup Ditch headgate just below Avalanche Creek, “attempts to make a determination that the way the river is now is the way should be forever, and that’s a long time,” Merritt said. “We believe that we need to be able to provide for those who come behind us the same opportunities that we’ve had, and the Crystal River is place where we can meet the needs of the future,” he said, adding there is also concern that the designation could remove local control in favor of federal protections. Any questions and concerns from the county, the River District or any other entity can be addressed in the eventual federal legislation that would have to go to Congress for consideration, said Redstone resident Bill Jochems. “The Wild and Scenic Act has great flexibility to address those concerns,” Jochems said, noting that the full River District board has not voted on the proposal, nor will it or the county be asked to do so until the draft legislation is written. White River National Forest staffers Rich Doak and Kay Hopkins explained that the Crystal River has been listed as eligible for Wild and Scenic status dating back to 1982, and reaffirmed in 2002. The section of river being studied for formal designation does exhibit many of the “outstanding and remarkable” natural, cultural, historic and recreational values (ORVs) spelled out in the Wild and Scenic Act of 1968. A key element is also that the proposed waterway be free-flowing. However, it’s possible that streams below an existing dam can be designated as Wild and Scenic, as long as the water releases are adequate to support the identified ORVs, Hopkins said. “This is the stage of the process where all the hard questions are asked, and is the big planning part of the study,” she said. The Garfield commissioners sought assurances that existing water rights would be maintained. Commissioner John Martin also asked that stormwater detention projects be addressed in the proposal, pointing to legal struggles in El Paso County related to the ability to build detention ponds. “The nice thing about this process is that we can take those kinds of things into consideration,” Doak said. The Crystal River is one of just five waterways out of 72 within the White River National Forest that meet the national Wild and Scenic standard, Hopkins added. Others include Cross Creek on the east side of the Holy Cross Wilderness, the South Fork of the White River, and two streams nearing a formal suitability decision by Forest Service and Bureau of Land Management officials later this fall, Deep Creek and the portion of the Colorado River in Glenwood Canyon. Once a record of decision is made on those two waterways, a legislative “advocate” would need to be identified to carry the bill in Congress, Hopkins said. 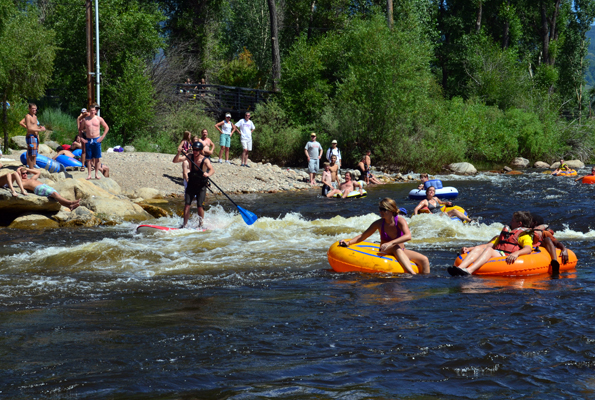 Since the Wild and Scenic Act was adopted, only one river in Colorado, the Cache le Poudre River west of Fort Collins, has such designation. More Crystal River coverage here. Some local residents think protection of the Crystal River south of Carbondale under the Wild and Scenic Rivers Act is the next logical step for sparing it from dams and diversions. The effort will likely face political challenges, as was evidenced Monday by the reservations expressed about it by Dave Merritt, a board member of the Colorado River Water Conservation District. That district and the West Divide Water Conservancy District previously abandoned most water rights, including ones for large reservoirs, in the face of opposition including a legal challenge by Pitkin County. Nevertheless, “We see the Crystal River still as an important water supply for western Colorado,” Merritt said during a Garfield County commissioners meeting. He worries that a wild and scenic designation by Congress would permanently prevent not just further water development of the river but also other activities such as more home construction in the valley. But Crystal Valley resident Bill Jochems said a dam would be a far more permanent action than wild and scenic designation, which occurs through an act of Congress and Congress could later undo. “This act has great flexibility,” he said, adding that advocates have a “barebones” goal of preventing dam-building above where irrigation diversions already occur several miles south of Carbondale. Advocates say the designation wouldn’t affect state or local land-use regulations. In 2012, the Crystal made American Rivers’ annual America’s Most Endangered Rivers list. That was after the river district and the West Divide district had agreed to concessions that included giving up some conditional rights for two large reservoirs on the river while still envisioning smaller ones in the valley. The rights for the big reservoirs dated to 1958, and one would have required flooding the village of Redstone. The U.S. Forest Service has found the river eligible for wild and scenic designation, based on the river’s free-flowing status, valley historical attractions such as the Redstone Castle and the former coke ovens in Redstone, the stunning beauty of the valley especially during fall-color season, and other historical, recreational and aesthetic attributes. The Forest Service now is in what Kay Hopkins of the White River National Forest said is the long process of determining whether the river is suitable for such a designation. “It’s where all the hard questions are asked” about whether designation is best or there are some other ways to protect it, she said. “It really is an outstanding river and what we’re doing is try to preserve it as it is today for future generations, and that’s what the act is all about,” she said. More Crystal River coverage here and here.